Think quick: What’s the last activity you did with your kids for more than 10 minutes? Was it coloring? Watching TV? Playing on the iPad? Doing a puzzle? Eating a meal or snack? According to a recent survey, by Woman’s Day and the Alliance for a Healthier Generation, a national non-profit founded by the American Heart Association and Clinton Foundation working to combat childhood obesity, when mothers spend 10 minutes or more doing something with their children, it is more likely to be sedentary or involve a screen than be physical. The top three activities mothers and children do together are eating a meal (90 percent), watching television (79 percent) and doing homework (65 percent). Only half of the 1,154 moms surveyed had gone out together for a walk, run or bike ride with their kids (ages 5 to 18) in the last week and just 26 percent had played a sport, run around or danced together. We’re all busy, and when we spend so much time running around and shuttling kids to a fro, when we get a break it’s nice to just sit. But we shouldn’t discount physical activity as downtime. Playing catch, taking a walk and dancing around the living room can be relaxing, too! If you and your family aren’t getting enough physical activity (for kids, it’s recommended they get an hour a day! ), you’re not alone. Almost half (44 percent) of moms said their kids are busy with homework and, like bugs, are drawn to the screen. What’s the solution? Just like our book says, every has 10 minutes. 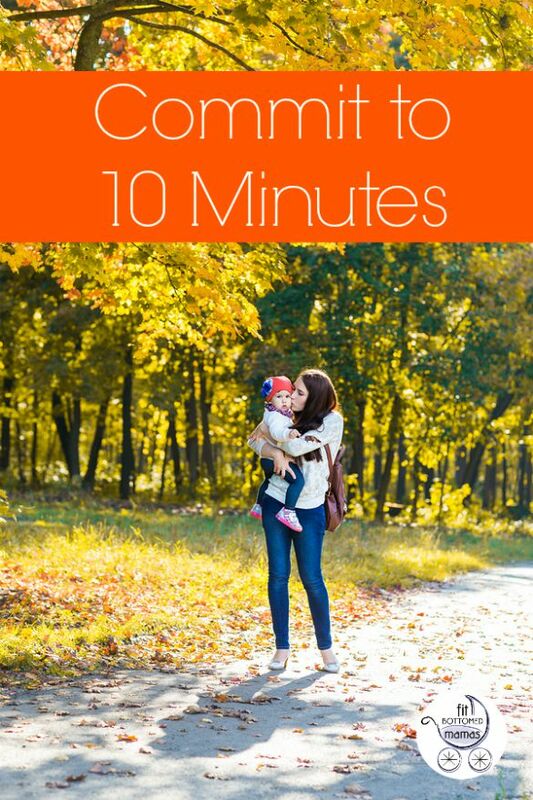 And Woman’s Day and the Alliance are encouraging families to #Commit2Ten — add 10 more minutes of physical activity to the daily routine. Next time you want to sit and veg with the kids, get up. Force everyone to get outside. Take a walk around the block or head to the park instead of flipping on TV for an hour. We’ve all got 10 minutes!